SATEMAKER FirePit Grill Barbecue. The SATEMAKER Firepit is new in the range. The SATEMAKER FirePit is easy to install. For the cozy evenings in the garden, this fireplace brings warmth and atmosphere. 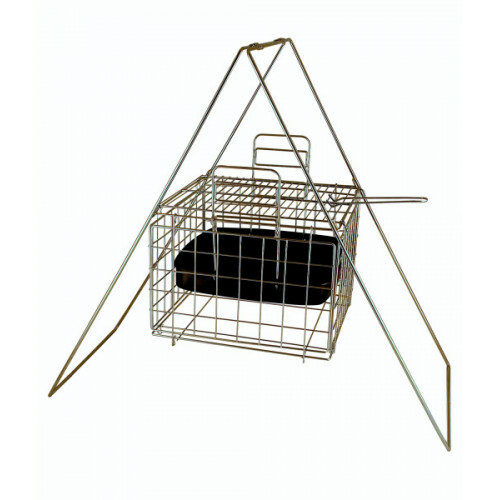 The Firepit is easy to use with paraffin blocks or with firewood. In the summer evenings, the SATEMAKER FirePit Grill Barbecue can also be used as a full barbecue. The included charcoal tray is adjustable in height to regulate the barbecue temperature. The bin is also used as a collection tray for ash and is easy to clean. The design has been thought to be collapsible. So easy to assemble and without screws. The SATEMAKER FirePit Grill Barbecue is made of steel. You can rub the steel with oil but will eventually oxidize and become a deep autumn color. They can be brushed with a wire brush.